Dome Property Styling is a small team of professional property stylists. We offer a personalised service guaranteed to make your property appealing, and highlight its best features. 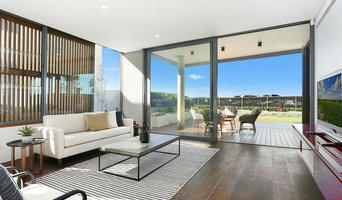 Property styling is a small investment for a huge return! Your property will sell at a higher price, and faster. This means less hassles, less stress and fewer headaches for you. Your marketing photos will really stand out, and the interest generated at your opens will be maximised. We tailor our service to suit your needs. Whether it's full or partial styling, we love the challenge and excitement of it all. Let’s chat about how we can help you achieve your goals. Our stylists will select and install furniture, soft furnishings, décor and artwork from our exclusive range, perfectly tailored to your individual property and target market. Our specialty is making your property more appealing and highlight its best features. We help to create a great first impression and a lasting memory for potential buyers. We are ordinary mums who love creating inviting spaces that showcase the selling features of your home. Entering a drab empty room does not inspire a buyer, but it inspires us! We enjoy the challenge of furnishing the space in such a way that the buyer is able to see the functionality of the room and to be emotionally engaged. There is nothing better than ending the day with a home that looks amazing, with well-coordinated colours and furnishings. Our attention to detail and personal involvement ensures this outcome for each client. Homes on Trend has a small dedicated team that seeks to deliver high quality, yet cost-effective styling solutions that will enhance your property and entice buyers. Our goal is to use our experience, skill and passion for styling to present your Sydney based property at its best for your sales campaign. Our wide range of furnishings and accessories ensures we are able to deliver. If you want to benefit from a quicker sale for more, then contact us for a competitive quote. Evolve Styling specialises in property styling to maximise the sale value of your property by creating beautiful visual spaces to captivate potential buyers though stunning marketing imagery and property inspections. We offer a highly personalised bespoke service using our own extensive range of designer furniture, spectacular art, amazing rugs and glamourous accessories sourced from around the globe. I am an artist and Property Stylist. I exhibit regularly in the Sydney CBD and regional areas of Australia. My design skills are reflected in the properties I have styled. Generally neutral palette, layered with interchangeable accessories. A neutral background allows the scene to be changed to be made fresh and inviting with rotation of artwork, and always flowers and candles! Click here for your instant FREE quote -> <a rel="nofollow" target="_blank" href="http://letsrevamp.com.au/quote/">http://letsrevamp.com.au/quote/</a> Property Styling – furniture hiring Services: We provide full or partial property styling packages that includes hiring our styling furniture, installation by our professional stylists and removal of the items at the end of your marketing campaign. We can style your entire house, or perform a partial style that only focusses on the key rooms/living areas. Another option is for us to utilise your own furniture in combination with Let’s Revamp’s furniture to accommodate your styling budget and still achieve that transformed look. Property Decorating and Colour Consulting Services: We provide decorating services that focus on helping our clients furnish their own homes and transform it into a stylish, revitalising and inviting space. We work with over 60 furniture suppliers and can assist you with ideas of how to decorate your home as well as help you acquire the items you like. We also have professional in-house colour consultants that can assist you with selecting the right paint colours for your property. Display Homes: We provide long-term hire and purchase solutions for display homes. We take care of every stage of the styling process from design through to installation and collection of goods. Entice your buyers with a stylishly inviting property to maximise your sales results through our stress-free process. Hot Properties Staging & Styling is a Penrith home staging specialist, here to help you with your decorating, staging and styling needs. With over a decade of experience as a qualified Interior Decorator, Mary Donnelly is the owner and creative principal of Hot Properties Staging & Styling. Mary has a passion for interior design and home makeovers, specialising in the area of pre-sale staging and styling. Our home staging service focuses on maximising your home's selling price. Showing your property's best assets will attract more buyers and also help a potential buyer imagine themselves living there. When you hire furniture and decorations from HPSS we take care of everything including delivery, installation and removal of items at the end of the hire period or when the property has sold. If you're after interior decorating, we can also help. Whether you wish to redecorate a room, a whole house, re-furnish or just update the colour of the walls, Hot Properties Staging & Styling can help you achieve your decorating goals. We offer services in colour consultation, finishing choices, lighting and furniture selection. Allow us to give your home the 'wow' factor. We are a trusted residential property makeover company transforming residential homes across Sydney since 2008. We help owners and investors to update their property, to either increase the value and enjoy now to live in, or to sell. The Papillon service guides customers through the entire process, in a holistic manner to make the transition from initial planning, through renovation and presentation to listing, selling, moving house or downsizing and even settling owners into their new property. Home owners and their stories are the inspiration behind Papillon Styling and during the management of those projects we’ve come to understand that we also help people to change their lives. This has unexpectedly become the underlying heartbeat of our business and we are absolutely delighted about it. Our strength lies in our ability to understand what’s needed on an individual basis, both on an emotional and practical level, because making big decisions around property is daunting. We hold hands together with our customers and walk them through the process with empathy, honesty and full transparency over fees and what to expect. Papillon Styling & Renovations. Transforming Property. Changing Lives. 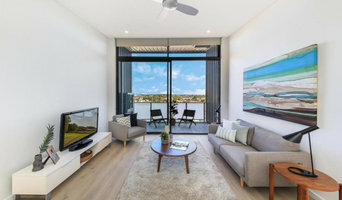 The original Property Stylists’ in Australia commencing over 15 years ago, now the no.1 property stylists™, covering all the Sydney Metropolitan area. 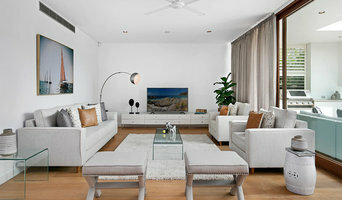 Our team comprises highly professional Interior Stylists and Designers who are expert in furnishing properties for sale. Whether it be opening up rooms, allowing more light in, adding the perfect artworks or creating intimate spaces – Instant Interiors has it covered. An exquisitely styled property can evoke emotion in prospective buyers and encourage a faster, more lucrative sale price. Our local warehouse holds an extensive range of furniture, artworks, accessories, artifacts and linen, allowing us to pass on highly competitive pricing to the Sydney market. When the time comes to sell your Mortdale, New South Wales home, an estate agent is essential but a home stylist is also important - think of them as the string section in the agent's orchestra. 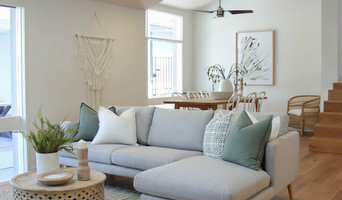 An interior stylist will bring the whole show to life by using their skills in interior design to bring out the absolute best in your Mortdale home. 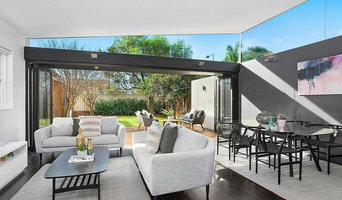 The Home Stylist or Stager works to prepare your Mortdale, New South Wales home for the New South Wales real estate market. Find a home stylist or stager on Houzz. Narrow your search in the Professionals section of the website to Mortdale, New South Wales home stylists. You can also look through Mortdale, New South Wales photos by style to find a room you like, then contact the professional who styled it.